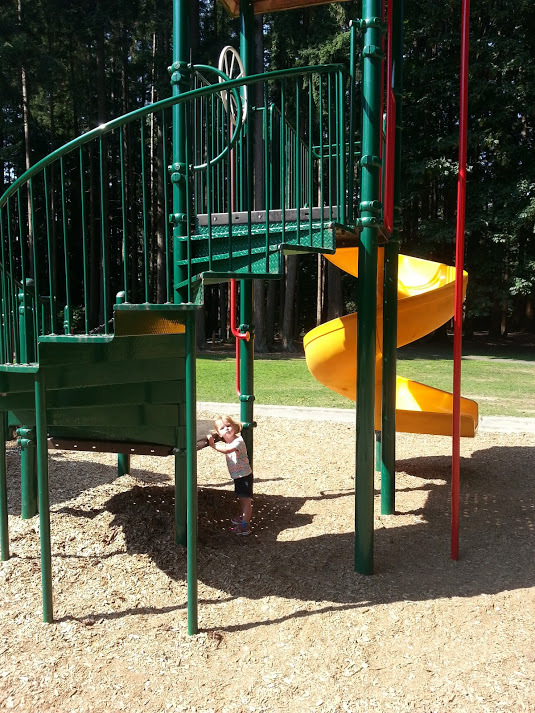 We wrapped up our summer adventures with a few more visits to new (to us) parks. 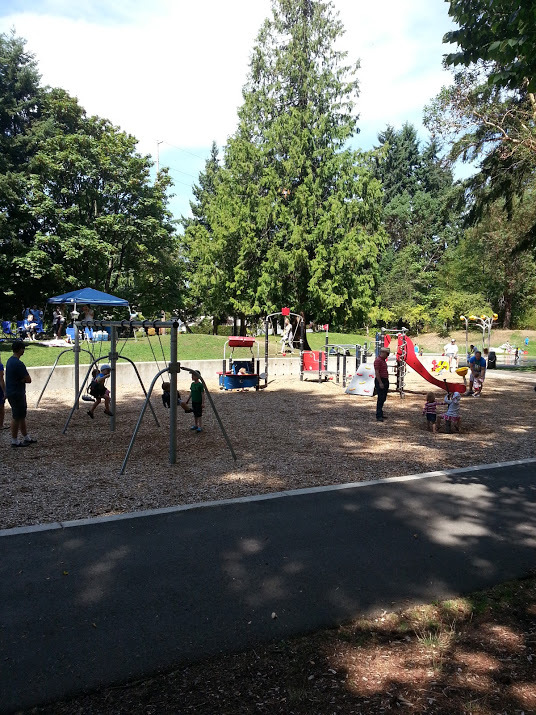 The first up was Lynndale Park located at 18927 72nd Avenue West in Lynnwood. This was a great find for us because we had the entire playground to ourselves which has NEVER happened. We went early on a Friday morning and usually when we show up to a park we have it to ourselves for ten minutes until a daycare shuttle van shows up and takes over the joint. It just seemed to be our luck this summer. But not this time. Lynndale Park was wonderful. There’s an older playground on the lower level of the park but since I had looked at the photos online ahead of time I knew we weren’t quite in the right spot. I kept driving around until I found another entrance on the East side of the park and we reach playground mecca. 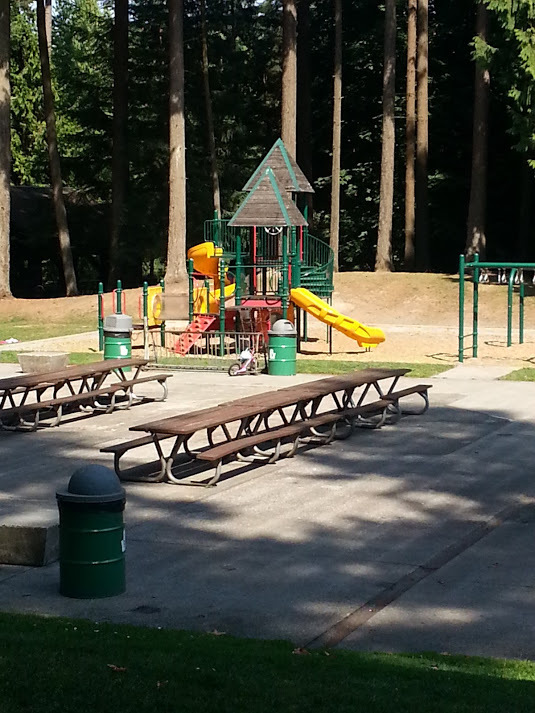 It’s fitting since Lynndale Park is the largest park in Lynnwood. I’m not quite sure why we’ve never visited it before. 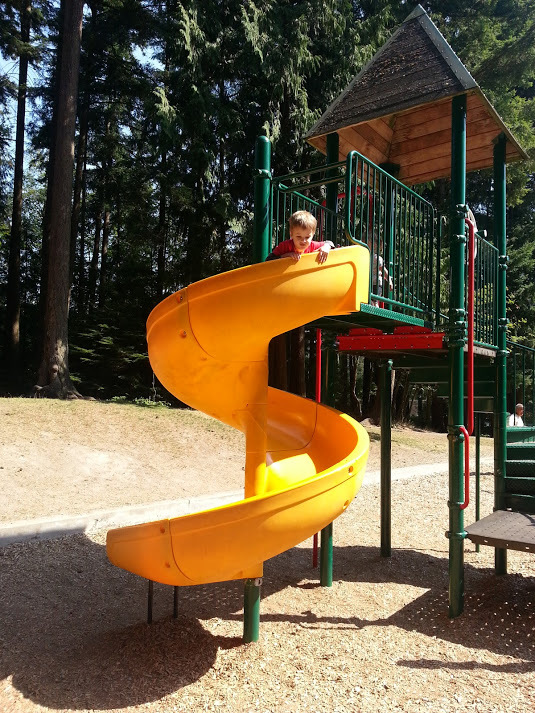 There’s a full baseball field, tennis courts, open grassy areas, TONS of picnic tables, shelter for rental, restrooms, forest hiking trails and playgrounds with swings and slides. 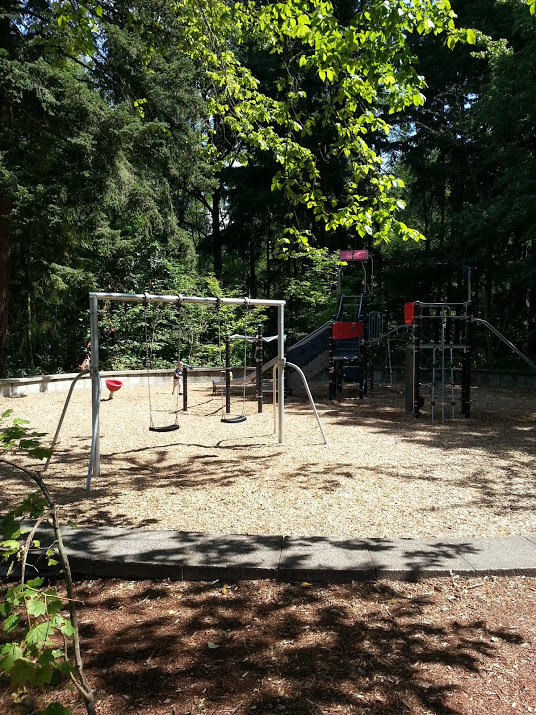 The area is a bit spread out and might be overwhelming if you have a lot of kids with you or if yours are runners – especially if the park is crowded. But for us, for the first time all summer, I got to pretty much relax and watch the kids play. The step up to the climbers are too tall for toddlers to get up by themselves which is great because you have to put them on the area for climbing (they won’t accidentally get in a spot that’s not for them) but if you have multiple kids needing attention you’ll be spending your whole time lifting the kids onto the climber. There’s a great twisty slide which is Alice’s favorite. And lots of other spots for climbing and being a monkey. There’s even a clear tunnel that was new and different for The Daveye kids to explore. 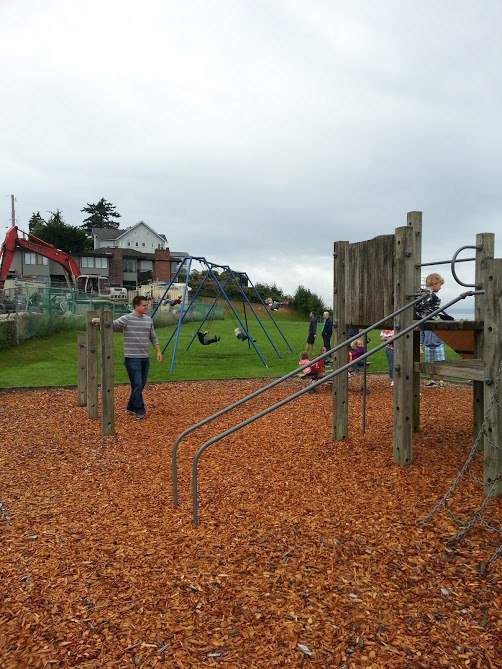 Here’s a look back at the playground while walking over to the swings with TONS of tables. 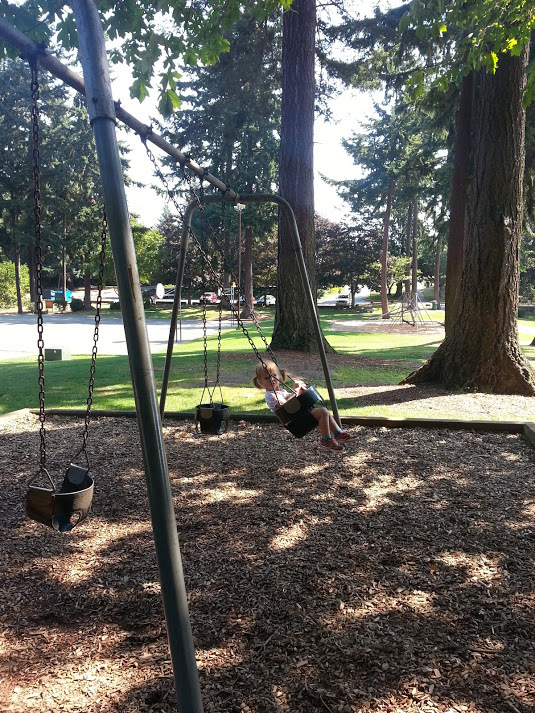 The swings are spread out and away from the area where the playground is. 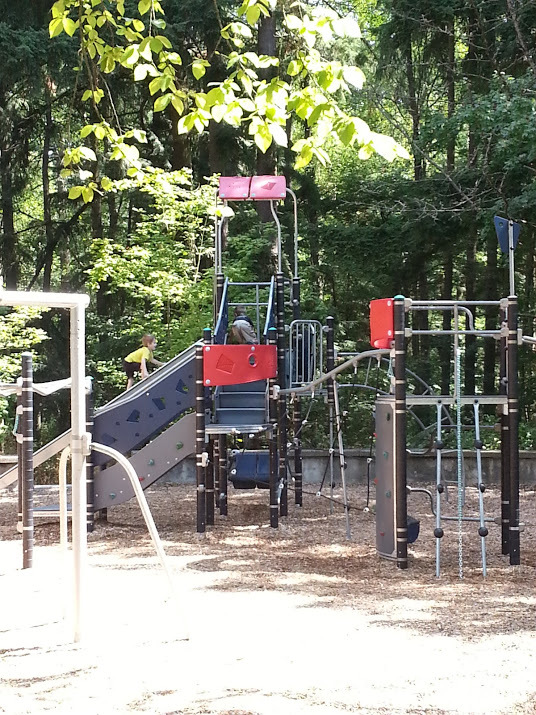 Great so you don’t have kids toddling into a swinging kid but can be stressful on more crowded days if you have a kid on the swings and a kid on the playground. For us though, we were in heaven. Three bucket swings side by side separate from a regular swing area. Miles went over and did the regular swings by himself for a while but in the end we all ended up in the bucket swing area all singing, snacking and enjoying the sunny day. 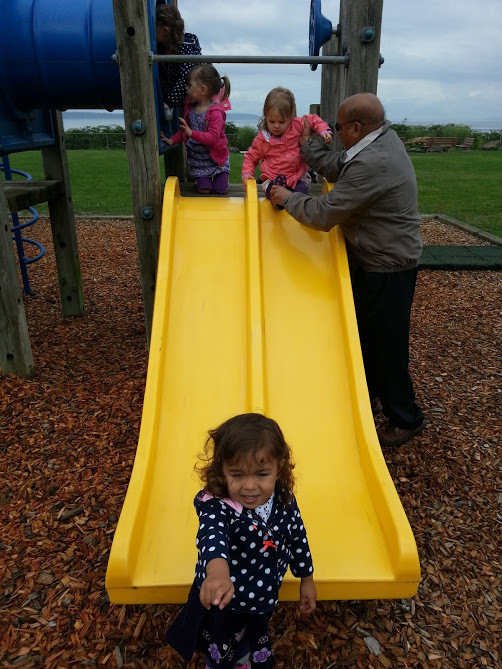 Another park outing we enjoyed was a trip down South to Northacres Park. 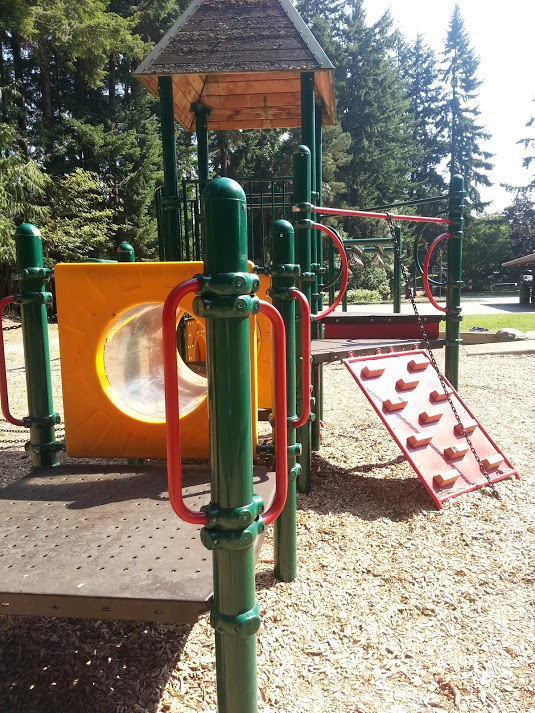 This is a wonderful city park with a splash pad and two separate playground areas – all within reasonable sight from each other when you stand in the middle paved path area. There are full restrooms and although parking can be limited we were able to snag a close spot and didn’t have to park on the street. There are swings, slides, climbers and twirly seats. One of the slides is metal and Graham had a great time sitting at the top and banging his heals on the slide – making it sound like a thunder storm coming through. The little kid area had plenty of spots for Alice to enjoy including a counter to play cafe and teeter totters. It was the perfect way to burn up energy before we headed to Target at Northgate for back to school shopping. 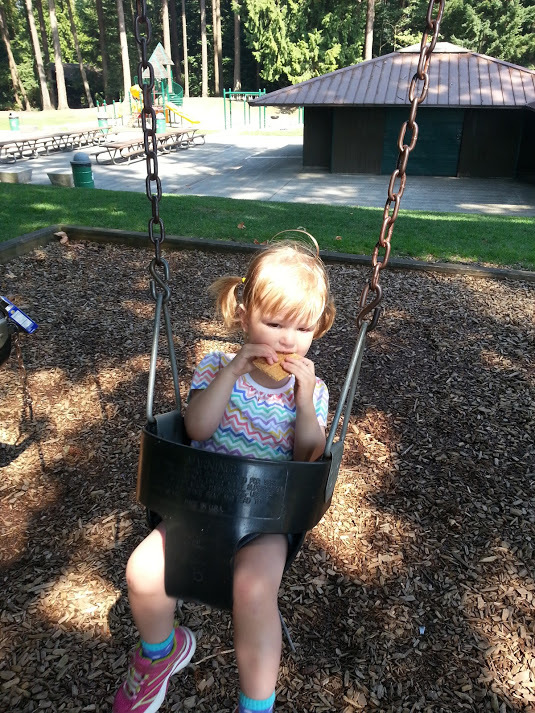 When we attended a friend’s birthday party at Blue Ridge Circle Park we were in for a surprise. 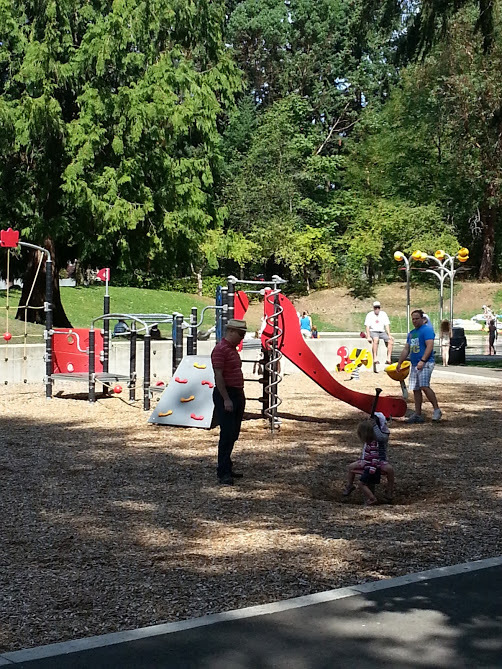 The park had a wonderful playground right next to the shelter for the birthday party. Perfect for the younger than five set there’s a double slide, tunnel, climbing and a few swings. It’s also a wonderful setting with plenty of grass to run on, ocean views and the occasional train going by. Be sure to check the traffic before you go – they’re working on all the entrance streets in the area so all the construction can get in your way of getting to the park easily. Once it’s done it will be beautiful!